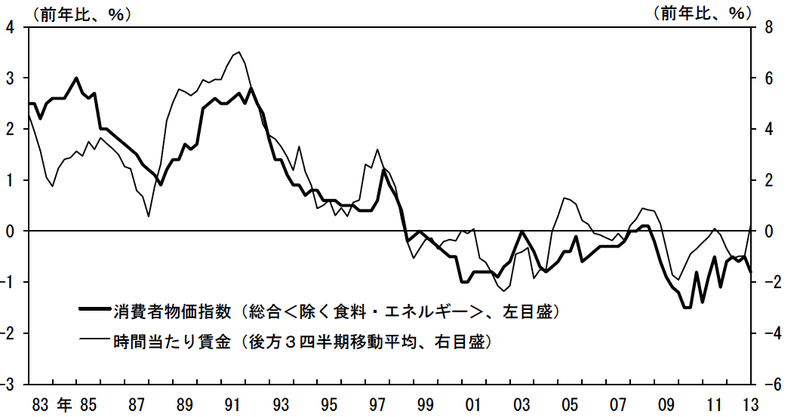 The BOJ recently released its biannual inflation outlook (経済・物価情勢の展望: ２０１３年４月). The graph at right shows inflation (dark) and hourly wages; while the latter are up slightly, such metrics are volatile and affect inflation with a lag. But wages are central: they are the largest cost for most businesses, and until they rise, well, there won’t (can’t!) be inflation. I’m skeptical that the BOJ can change this. First, growth of the money stock hasn’t been sluggish; if monetary policy is going to do anything, it should have had an impact a decade ago. I mean, if companies don’t want to borrow at 1% pa, would an interest rate of 0.9% make any difference? We’re really looking at marginal changes. Then there’s excess capacity. Now there’s no direct measure of gaps between actual and potential; they have to rely upon either a model of how inputs are related to output, or to a trend-based projection, both of which have defects (and, of course, they don’t give the same bottom line, else it would be irrelevant to mention. 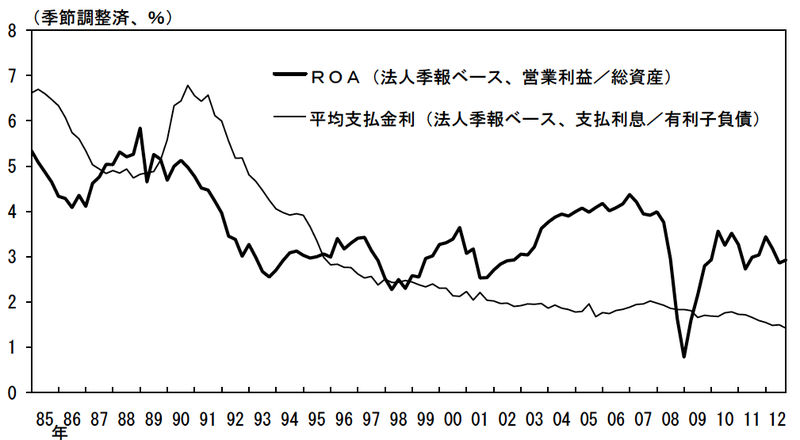 See a BOJ study of the issue.) By the BOJ’s own calculations this gap remains large. Until it’s eliminated, my belief is that wages will not rise enough to force firms to raise prices (and without higher wages, where will demand come from?). Now if the government were engaged in fiscal stimulus, I’d be less skeptical. 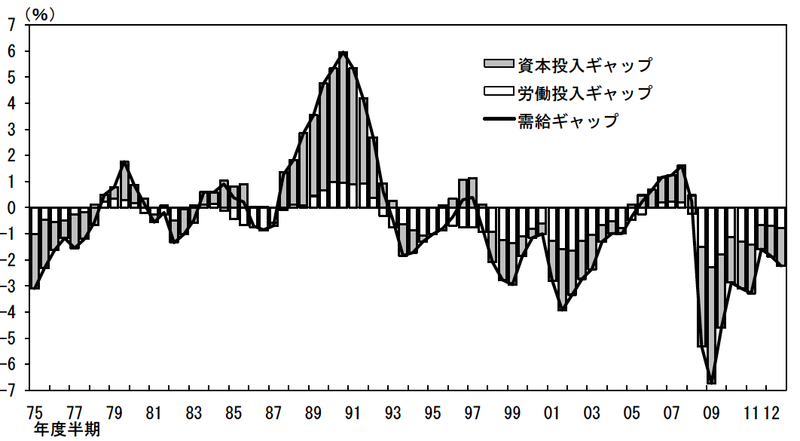 To my knowledge, however, Abe has not forsworn the increase in the consumption tax in 2014. WIll the weak yen help? Maybe, but Japan just isn’t that dependent on exports. Meanwhile, Europe threatens to drag down everyone: from a Japanese perspective the drop in incomes in an important export market will more than offset any benefits from a weaker yen. By Mike Smitka in Uncategorized on April 29, 2013 . Entering a comment as a test. I noticed a great deal of skepticism about the BOJ being able to meet its goals. “Economic forecasts presented by policymaking bodies are based on their own policy programs and do not necessarily match up with market projections,” BOJ Governor Haruhiko Kuroda argues. But market observers are not buying the disparity. “The outlook report has become a propaganda tool designed to firm up inflation expectations,” contends Yasunari Ueno of Mizuho Securities Co.
Yeh, this particular “theme” is not ideal, I can set up a “blockquote” and all that but not without laying out $30. If enough people migrate to this, I’ll do it. Not worth raising funds for such a piddling amount.